This Companion combines an exhaustive catalogue of foods with a richly allusive commentary on the culture of food, expressed in literature and cookery books, or as dishes peculiar to a country or community. Thanks to these early explorers, cultures around the world have created delectable dishes based on spices and herbs both homegrown and imported, and it is fascinating how often these additions can change the essence of an entire meal. Indeed, many spices have been so commonly used they have come to represent entire cuisines. We cannot imagine Indian food without curry, for instance, nor conceive of any sashimi platter without that indispensable wad of wasabi. In addition to spicing up dishes, studies have also shown that adding seasoning to your diet leads to copious health and other physical benefits. This is not a recent discovery. In ancient Roman times, the philosopher Pliny advised his students to wear a “crown of mint” upon their heads while studying, as it “exhilarates the mind.” Modern studies reveal that his advice was spot-on. Other than headaches, mint also alleviates asthma, nausea, and digestion problems. Other herbs and spices, such as the nutmeg, similarly helps prevent infection and ageing due to their antibacterial properties. For all our familiarity with seasoning, not all of us can claim to know the origins of the condiments we use so frequently. The markers on the world map below introduce the native land and properties of some select spices (the fiery red markers) and herbs (the green ones) that bring a magic touch to our everyday fare. Featured image credit: ‘Indian Spices’ by Maulpatel. CC BY-SA 4.0 via Wikimedia Commons. 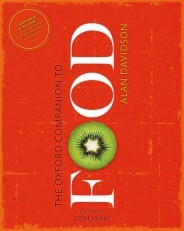 Discover the new edition of The Oxford Companion to Food either online or in print. This blog post was written by the Oxford Reference marketing team.